I am sorry to announce a bad news regarding the issue that I am facing w.r.t deteriorating health of my father Mr. Sudipta Basak. My father is suffering from kidney disease since 2008 and he had undergone kidney transplant in 2012, at that time we sacrifice our own house in Ghaziabad (Uttar Pradesh) to make him live a healthy and longer life. Last month my father suffered from pneumonia and chest infection which led to further damage of his transplanted kidney resulting in daily dialysis. As he is admitted in BLK super specialty hospital (New Delhi) from 29th July till now and the bill is approximately Rs. 5.5 lakhs, and it is very difficult for me to bear this expense as we have nothing left with us as a family to pursue the treatment and pay for existing bill of Rs. 5.5. Lakhs. As I am the only earning person in my family and we do not have any medical insurance, therefore, I need your help in terms of financial support, which will help me and my family to survive because he is the only guidance for us. As we do not have any other option to make him survive therefore I need your help badly in helping us pay the bill. Your support will be invaluable. 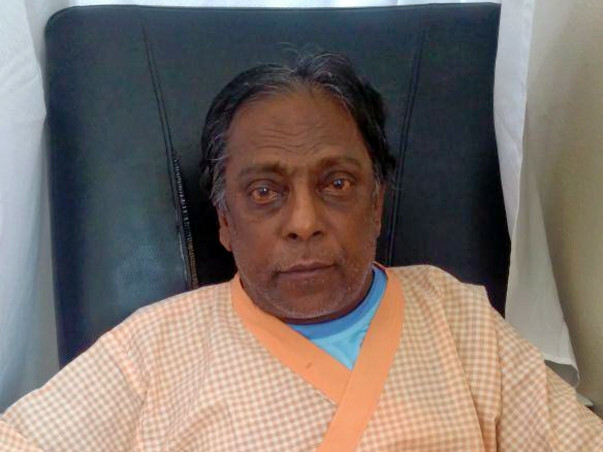 Here is an update on Mr. Sudipta Basak's health. He is doing better now compared to earlier. He had a kidney transplant in 2012 and developed pneumonia recently. 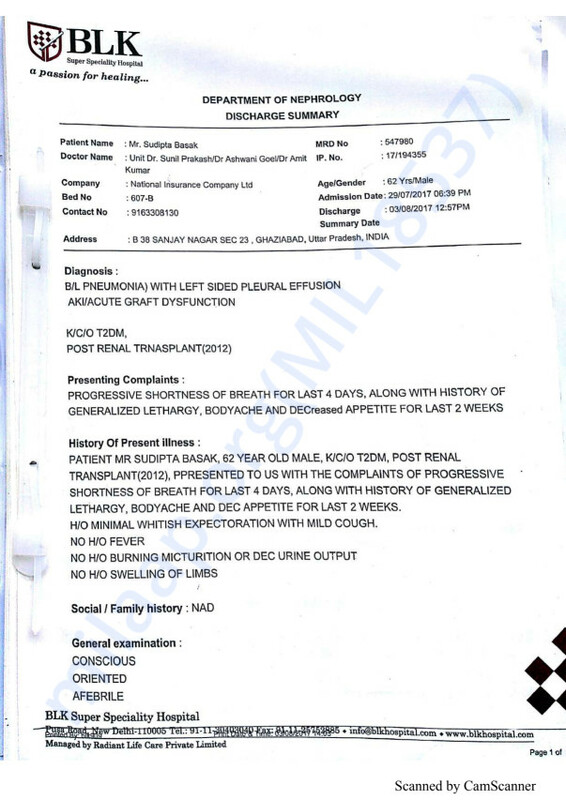 He was being administered treatment for pneumonia but the infections spread to the kidney. Presently, he is being administered treatment for pneumonia and the kidney infection. "My father is 62 years old and the doctors suggest a kidney transplant after 60 can be dangerous. 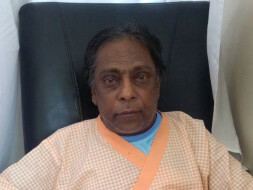 Hence, he is back on dialysis. The doctors have suggested regular follow ups and medication. The medication is proving to be effective and the infection due to pneumonia has been reduced. ", Abhishek Basak. As per the recent reports and doctors suggestion. He was discharged from the hospital on 28th August. He will be traveling back home in about two weeks time. However, there are costs of dialysis and other follow up tests and medication. Thank you for the overwhelming love and support you have shown him. Please do pray for his speedy recovery. Would request you to share this campaign with your friends and family.